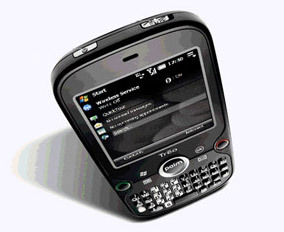 The PalmInfocenter Software store carries thousands of Windows Mobile software applications for your Treo Pro smartphone. The Treo Pro runs the Windows Mobile Professional 6.1 (Pocket PC) operating system and it is compatible with most Windows Mobile Pocket PC apps. There is a rich variety of third party Palm software programs that can greatly enhance your productivty and your device's usefullness. The store carries thousands of freeware, shareware and commercial titles and most apps include a free trial period. You can tell us what model device you have or select the Treo Pro from the list and the store will automatically show you compatible software titles. All of our Windows Mobile Software can be found here. Tip: Did you know that you can wirelessly download and purchase apps directly on your Treo Pro? It's easy -- simply visit the mobile version of the PIC store directly on your Treo Pro. Open the web browser and type in software.palminfocenter.com and you're good to go.